It's a story of rescue, rehabilitation, and resilience. The famous animal behavior researcher Linda Koebner helped two laboratory chimpanzees transition to a life outside of bars, then left them to live their lives in a sanctuary where the chimps could live a more normal life. But in the video below, Koebner returns to check on her old friends, unsure if they'd welcome her home after all these years. 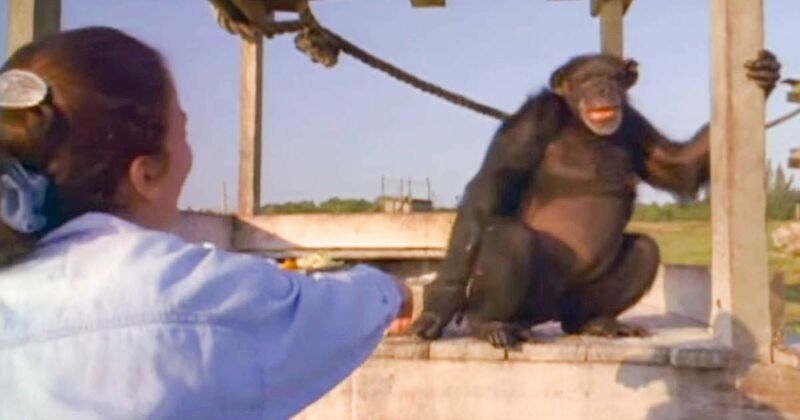 According to PBS, Koebner was just a grad student when she began helping the chimps transition from their traumatic life inside cages to a more free and open space. It was unclear if the chimps would be able to transition into this new life, but Koebner coaxed the chimps to leave their cages, and over the next four years helped them with their successful transition. 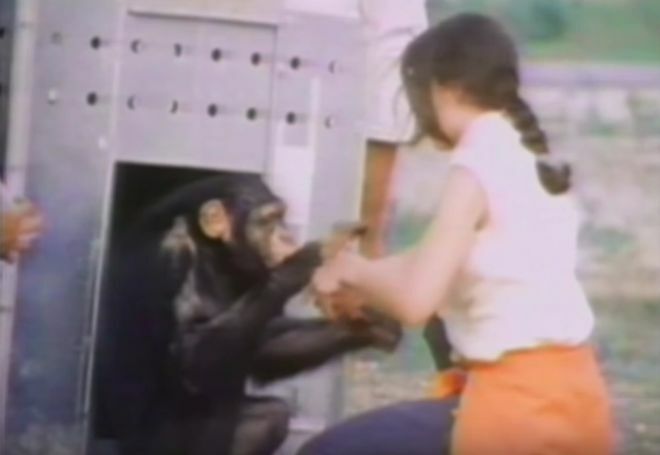 In this clip below, you see the incredible reunion of Koebner and two of the chimps she worked with -- Doll and Swing. Koebner calls their names from the boat and her two old friends are there eagerly waiting for her on shore. Their first touches and embraces show the magnitude of good Koebner's work did in rehabilitating the chimps and showcases their human-like memory and compassion for a dear friend.